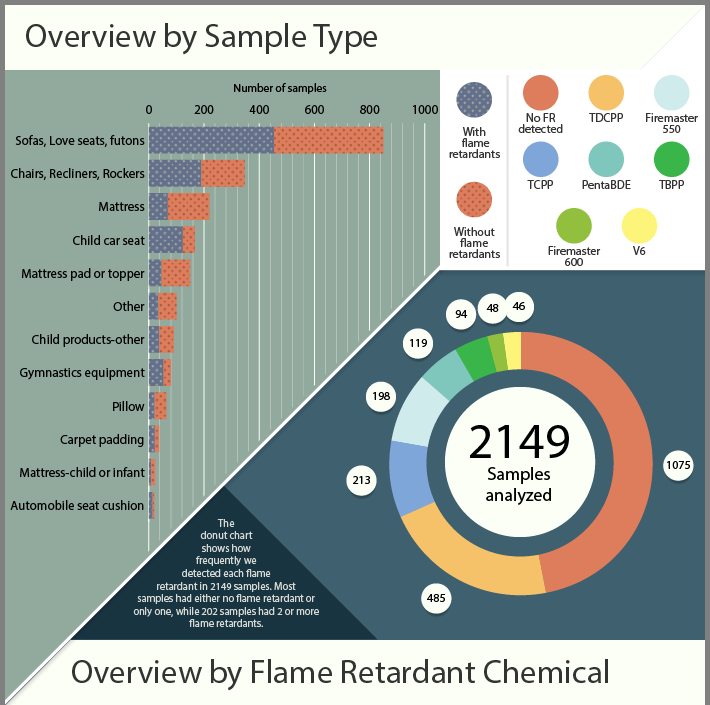 As we continue to test residential foam samples for the presence of flame retardants, we will be periodically sharing our findings with you. We hope that the infographic below provides a helpful overview of the samples we've analyzed to date and what we've found in those samples. If you have any questions or comments, please contact us by emailing foam@duke.edu.